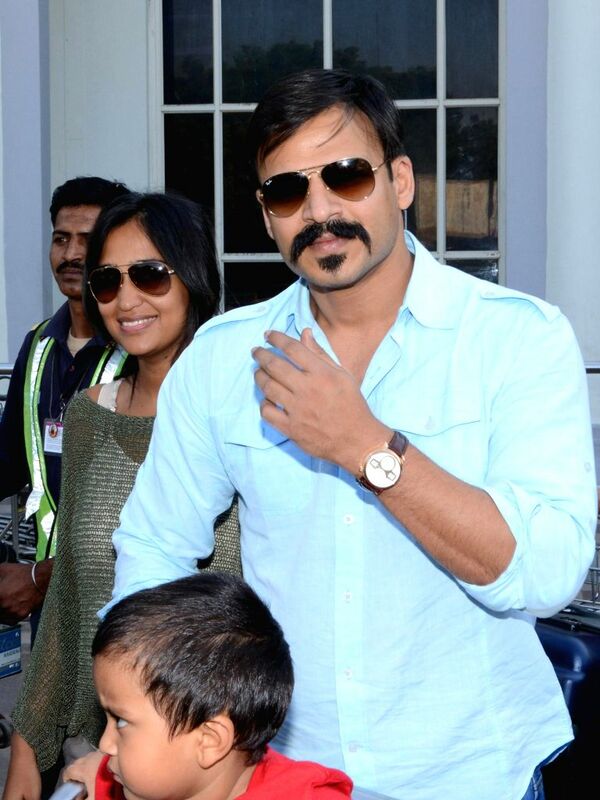 Jodhpur: Actor Vivek Oberoi arrives at Jodhpur Airport with his wife and son on Nov 26, 2014. Delhi Times Fashion Week: Style Quotients Desi Girls cannot miss! !